Have you ever gone to watch a movie and came back with the feel of having watch two films. Well that is what Uttama Villain gives you. It was a brave attempt to give the audience two completely different movie story at one go. There is only one man capable of pulling that off and that man is called Kamal Hassan. Manoranjan played by Kamal Hassan, is the biggest actor of his time and has emerged from a small time actor to an award based actor and now he is the biggest commercial actor of his era. With his father in law backing his films as producer and providing mega budget to ensure it’s a commercial success. Manoranjan was a disciple of Mr.Marghadarasi played by the legendary K.B Sir. Both Manoranjan’s father in law and Mr. Marghadarsi are shown to be some sort of rivals, where they criticize each other and have a court case pending. At the same time Manoranjan was potrayed as celebrity who has a drinking problem and to top that is having an affair with Dr.Aparna played by Andrea and seems to be a figure of hatred by his son who is also shown as an arrogant, spoiled rich kid. Soon Manoranjan discovers that he has a daughter from his past relationship and also finds out that he is diagnosed with stage 4 brain tumor. Knowing that his time is up, Manoranjan is desperate to make up for lost time with his daughter and decides he wants to make one last flim before his health gets worse. He approaches Mr. Marghadarasi and requests him to direct a film for him and he wants it to be a comedy film whereby when the audience leaves the theater for his last film, they would leave with a smile. Upon hearing Manoranjan’s condition, Marghadarasi agrees to direct the film and it is titled “Uttama Villan”. From here, the movies shifts between the shooting sequences of “Uttama Villain” and how Manoranjan makes up with his daughter and how he breaks the news his family, while keeping Dr.Aparna along with him. Watch out for the scene whereby Manoranjan speaks to his son about his condition. That is one scene which will break your heart. The story of Manoranjan continues with emotionally driven plot among his daughter and ex-girlfriend, his wife, son and father in law and Dr.Aparna. On the other hand whilst this emotional drama is ongoing, we are given a diversion from this theme by showing the sequence of the shooting of “Uttama Villain” This was meant to be comedy film which turned out horrendously boring. It’s the story set back in time during the ancient days about a guy named Uttaman, who through a series of event is know as “The Immortal Man” because he so called cheated death. Impressed with this, the king calls him up and urges him to teach him the spell to be immortal so that he can continue to rule the kingdom, while the princess (daughter of the previous king) seeks Uttaman to manipulate the king in order to gain control of the kingdom. This was all meant to be shot as a comical film but it failed miserably. The sequence of this part of film is so boring, you will find yourself wanting them to show the sequence of ManoraNjan instead of Uttaman. The films end with the shooting of “Uttama Villain” completed and is released in cinemas with a roaring applause of the fans. Kamal has set the bar high for comedy movies in his previous films like Panchathanthiram and Pamal K.Sambatham and this part of the film fails miserably to reach the heights of those films. Considering the fact that the story was ran through by Crazy Mohan, who I feel is the King of Comedy, this part of the film is a failure. You could sense the touch of Crazy Mohan in some of the scenes in this story. Initially the film was supposed to be directed by Kamal himself but later due to certain reasons it was handed over to Kamal’s close ally Ramesh Arvind. This marks his directional debut in the Tamil industry. Previous he has directed 5 Kannada films, and this is a total ball game for him. Directing a film which is not written by you is not the norm in the tamil industry. Especially when you are working with a perfectionist like Kamal and having your mentor, KB in the same film as well, the task gets even more challenging. To add things, this is a movie which has 2 totally different films in it. Kamal is the definition of perfection. He gets so deep into the character and brings out the very best emotions from the characters let it be from Manoranjan or Uttaman. Started with Manoranjan who’s character is showed to be having a drinking problem, neglecting his family while having an affair. He gives us a peak into the life of a celebrity and how it could go wrong in your personal life. Next we see him as man who is suffering from brain tumor and desperately trying to make up for lost time. Once again you will see a different class of acting from Kamal. His naïve nature and the language command for the role Uttaman was again top class and it all seemed so natural for him. He makes it look like an effortless acting. If it was another actor playing that role, it will never reach the level of what Kamal portrayed. That is why Kamal is class above the rest. His portrayal of Uttaman was equally good despite the story line was horrendous. Andrea who plays the role of Dr.Aparna was drop dead gorgeous. She plays the role of Manorajan’s love interest and his personal doctor. The internal conflict she has to handle dealing with Manorajan’s diseases while comforting his family despite her love interest for Manorajan. Even with limited screen time, she gives a strong performance which carries a lot of weight in the story. A top class performance from one of the most versatile actress of current time. The film consist a huge cast and each of them has enough scope to perform and everyone delivered a quality performance. The particular highlight for me was the character of Manoranjan’s manager. Watch out for the scene he reads out a letter. Another quality performance by Jayaram in this film. He plays a small but pivotal role in the film which swings the balance of the film. The scene between him and Kamal regarding their secret is a joy to watch. The rest of the cast all has limited screen time but each and every character has a reason to be in the film and carries a certain weight. Each time they are on screen, they perform an excellent performance. 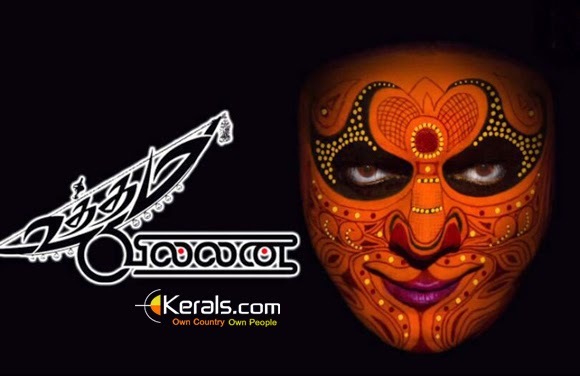 Overall, Uttama Villain is a film about love. Love between a father has kids, a husband with his wife, A guy with his ex-lover, between the master and his apprentice and a man with his mistress. It’s a movie you should watch, but it is not a film that is going to be loved by every audience.